This compact and lightweight D-shaped carabiner is perfect for attaching additional gear to the outside of your backpack for easy access. 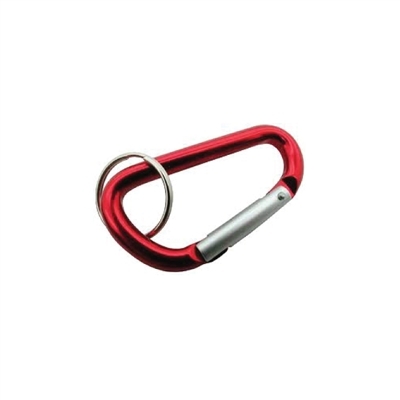 Lightweight aluminum D-shaped carabiner. (Not for climbing.) Length: 2". Colors will vary.